If you are running Microsoft Windows XP professional, it is obligatory for you to create a Windows XP password reset disk. With it, you’ll never concern about forgetting Windows XP password because you can easily reset Windows XP password with it within seconds. Requirements：Before you create a Windows XP password reset CD , what you need is a blank, formatted floppy disk and a floppy disk drive. Step 7: Windows XP will now create the windows password reset disk. When the Progress bar reaches 100% complete, click Next, and then click Finish in the next window. Now you have successfully created Windows XP password reset disk, you can remove your password reset disk from your computer. There is one thing you have to note is anyone who uses the disk can reset your windows password without knowing your password. So store your password reset disk in a safe place. If you forget Windows XP password and don’t have a Windows XP password reset disk, while many people probably have totally told you that the only way to login on to your computer is to fully re-install Windows XP. They are totally wrong. 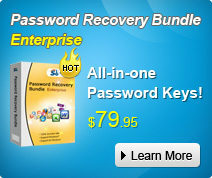 You can still perform Windows XP password reset with Windows Password Recovery tool and log to your computer with ease. Windows Password Recovery Software can help you reset windows XP password by burning a bootable CD/DVD or USB flash drive. Except windows XP password resetting, Windows Password Recovery Tool can also help to reset windows administrator password and standard user password on Windows 7/Vista/Sever 2008/2003 etc. Windows 7 Password Reset Disk.